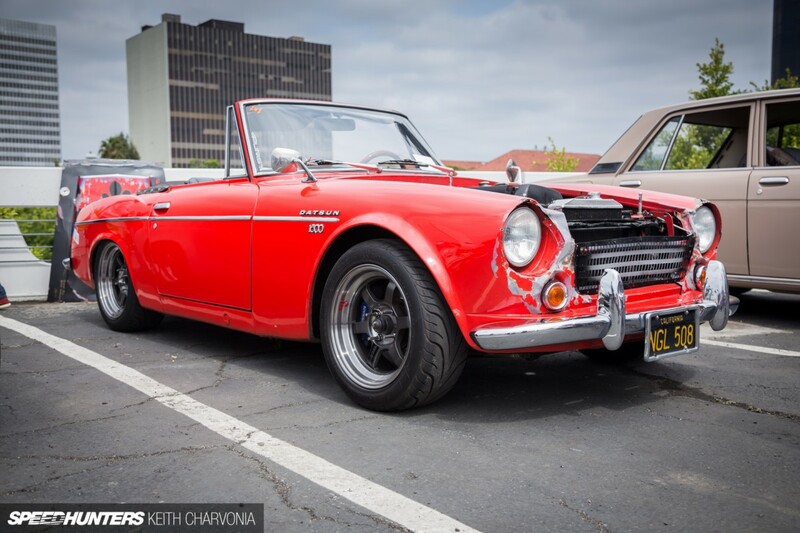 Mike Anderson’s ’68 Datsun Fairlady is built to drive, and drive hard. With a ’63 Comet and ’65 Volkwagen Bus already in the bag, a few years ago Mike started looking for something more fun, and fell in love with the nimble SPL311 roadster. Being a car guy he couldn’t leave it stock for long though. 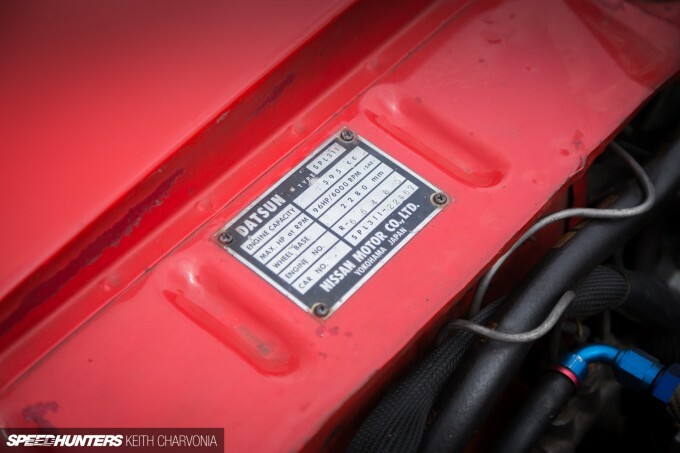 First came an SR20DE swap by Kevin Desirello of Kevin’s Roadster Designs, on which Mike logged 60,000 miles in just two years. But the sound wasn’t quite right and Mike wanted more power. So he and Kevin hatched a plan to build a 9000rpm screamer that was “just as happy to pull 1500 up a hill in traffic,” according to Mike. There was a laundry list of requirements too: it had to be naturally aspirated, reliable and run on pump gas. 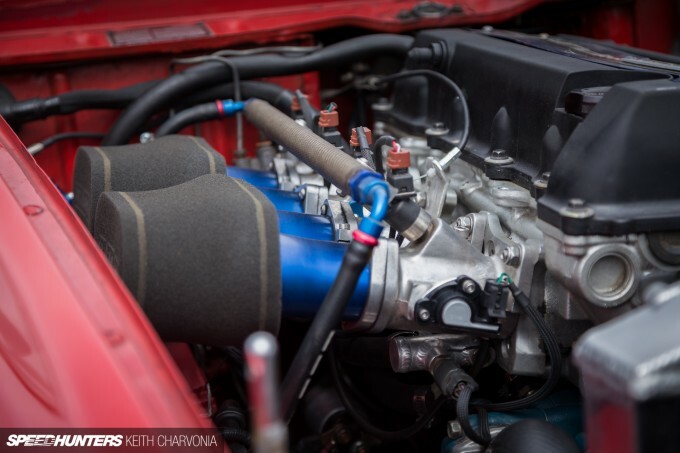 With the parameters decided, the duo took an SR20VE head and mated it to an SR20DET block. The crank was balanced and refitted along with Manley rods and CP 12.5:1 pistons, while up top two-piece valve springs with titanium retainers and N1 cams with G-Spec adjustable gears were added to the mix. To cap it all off Mike sourced a set of individual throttle bodies from EFI Hardware. The result is 198whp at 8000rpm and 155ft-lb torque at 6000rpm. As the video above shows, the best part is the sound. 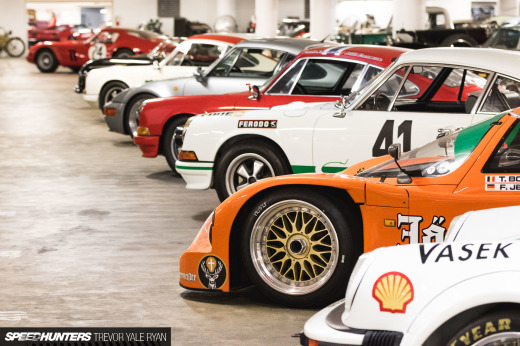 The ITBs take on a vintage car sound down low, but love to scream up top too. You may have noticed the road rash on the front end in the opening shot. Some photographers might have shied away because of that fact, but it only intrigued me more. It told me that this guy just wants to drive, and looking around the car I could see that it was hardly a shoddy build. 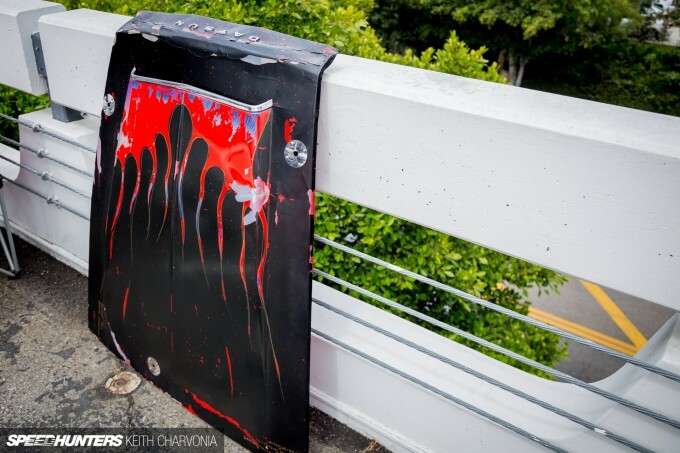 Leaned up behind the Datsun I found a crunched-up hood. Mike tells me the front end damage was the result of LA freeway traffic, and that the car is already in the queue for repairs. 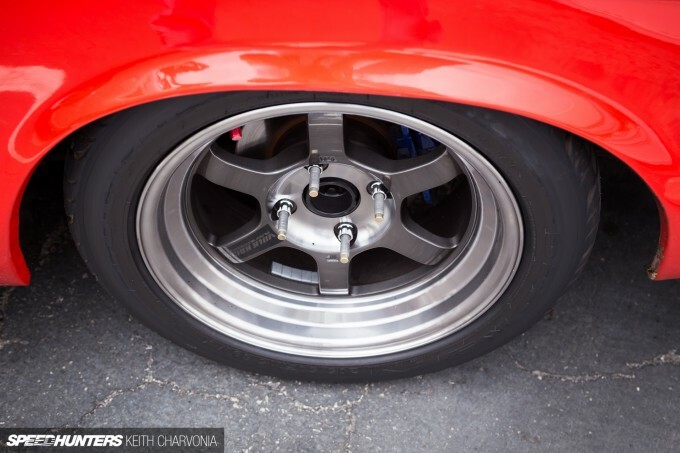 The rear axle was swapped for that of an RX-7, which came with disc brakes, while the front brakes are from a Z32 300ZX and utilize Hawk performance pads, as seen behind the perfectly-matched, lightweight limited edition RAYS Volk Racing TE37V SL wheels in a 15×7.5-inch fitment. Since the second engine swap, Mike has already racked up another 25,000 miles. He says he can’t wait to fix the bodywork and just keep flogging the little roadster. I could tell his car was driven, but I never could have guessed that the guy loved his car so much that he drives it nearly non-stop and year ’round. Mike says he takes it everywhere, rain or shine, and besides driving it on the road it also sees plenty of track and drift days. I think we’re looking at the perfect recipe for fun. Now who wants one? It's rough but, does not lack character. Is it just me or is there a "kick" to the induction note from low to high revs? I thought VVL was a smooth power-band rather than a switching "kick". If you hit anything with the front of your car it's YOUR fault. Neo-retro wheels on an actual retro car.... It just looks so cool. Neopolitian I agree. That is why I am going to fix the car. Matt Burgess There is a huge snap to the sound. The power transition is smooth. You can adjust that and make it a power kick by adjusting the switchover point so the small cams run out of breath before the shift, but what I wanted was smooth, repeatable power. This car has a magna flow style muffler, and once it gets on the big cams, it overpowers the muffler, and the car essentially becomes straight piped. I have seen this car in person, its a very cool little car, great work Mike! Neopolitian Uhm... I think the article is about the car... I don't think knowing who's "fault" it is really matters, if you actually drive the car, especially with the millage he logs, of course some mistakes will happen. Live and learn. I met Mike during one of my runs around GMR with a friend. Super cool guy and glad to see his car pop up on here. Can't wait to see the finished product. What'd he do about the rear suspension? I have a '68 2000 that needs new rear leaf springs, but with the cost of NOS parts it almost seems feasible to do a swap to a more modern setup. What was wrong with the stock carburated angine? 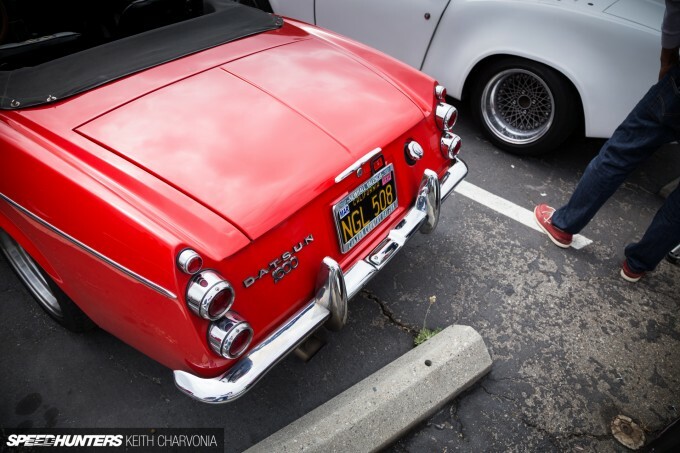 Do you get alot of hate from the old folks that tend to drive these little Datsuns? You can get re-arched springs, or new reproductions of both stock (early/late) and competition springs. The RX-7 swap gives you discs and a LSD, you can even use existing leaf springs! 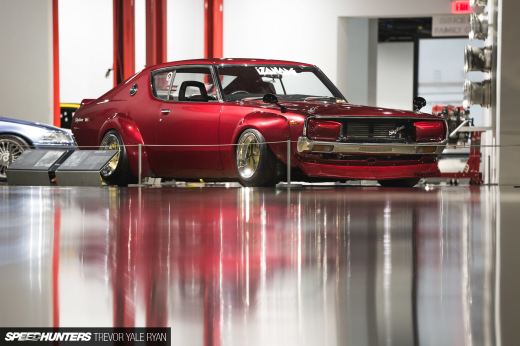 @SW1 There are almost more modern swapped Datsuns than old school powered ones nowadays. I have an L series in my 510 Wagon, and that almost makes it more unique than the SR powered ones. Really digging this little red fiery dragon! @MTDatsun have i seen ur build in the ratsun forum? @SW1 I found the car on the internet, and flew up to Portland, OR to buy it, put up the top, and started driving. I got about to the OR/CA border when it started running on 3 cylinders. Forum help got me home, but it needed a new heart. I really wanted more power in what is just an incredibly fun chassis. So it really was not a tough choice, once I found a friend who had the real world experience and the knowledge to cleanly install the SR20. Kevin made it rock. I wouldnt do it, i applaud the people who do though. My car's future consists of a turbo'd injected A12 with lancer suspension and brakes. IskiSenna I'm a believer in building the car you want. I absolutely love driving a stock 2 liter roadster, and the 1600s are even fun although they are just begging for another 50-60hp.. But with the rarity of the stock parts, especially for the 2 liters, and as much as I love to drive this car, I would feel guilty burning through the parts. Plus, the money to build a 200whp non turbo U20 would be just mind-blowing, and it would be tough to street drive it. I get great power, and almost perfect streetability. It's tough to beat for what I want to do. Oh yeah parts. My b210s A12 has many things in common with the nissan c22 van, produced right up to '09 in malaysia (yeah i know, crazy malaysians) so i can afford to take risks with my car's parts. Plus i thought would be cool to have an injected and blown 100rwhp in a bee. Now that you put it like that, i see your point. loslogo Neopolitian "Mike tells me the front end damage was the result of LA freeway traffic" Sorry...just didn't like this choice of wording. This blames the traffic. I don't think there is any animosity towards folks that do a swap. 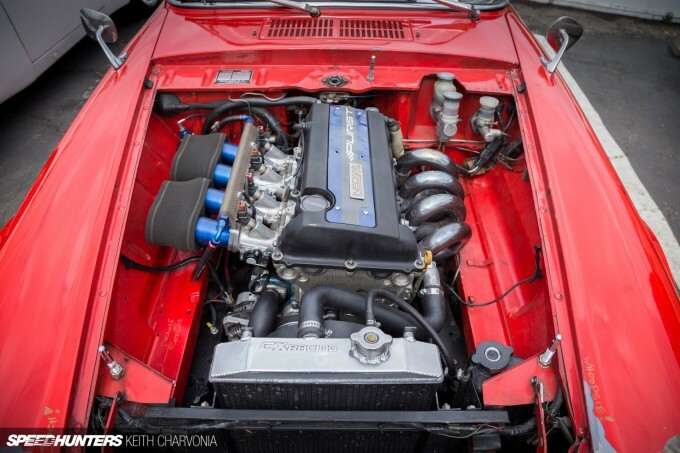 I've seen many SR20DE swaps into SPL's (seems the most popular) and I think it is awesome. I am somewhat envious actually as I know it is not a 50 year old engine subject to 50 years of accumulated wear / challenges (and cost!). It keeps the cars on the road and any roadster owner knows how tough / expensive R-44000 & U20 parts are. Plus it puts the car into the epic category for performance. I have a 70 SPL which was swapped to the U20 with the 5 speed (the "fake" SRL's from the 80's / 90's). It it not going total stock (I drive it to drive it, not look at it). I'm putting in a flat dash made of Zebrawood and a few other modern upgrades. Also have a 66 SPL which is going stock (ever so slowly due to cost / availability of parts). If anyone has not driven a Roadster, they just don't understand the thrill. 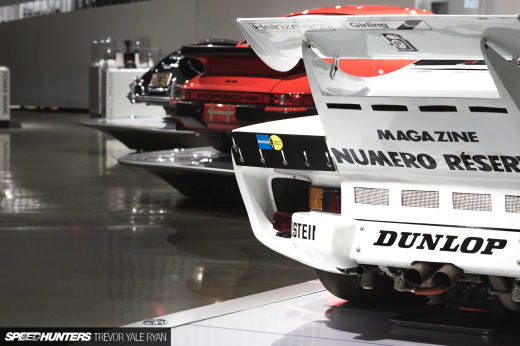 Your bum is ~6" from the ground, your legs stick out straight forward, and it steers better the faster you go. I commend you on the great work, car looks excellent, sounds superb. I have driven with this guy before. This car is awesome! Neopolitian Really? What if you are sitting at a stoplight and you get rear ended, causing your car to rear-end the car in front of you? Is it still YOUR fault? @SW1 Neopolitian Unbelievably SOME people, (Not me I live in the real world! ), argue "Yes, you should have pulled up with a sufficient gap from the car in front and your foot on the brake to prevent you careering into the car in front." I guess they ASSume that you're only going to get lightly punted from behind, not by some idiot going mach 5 into you? 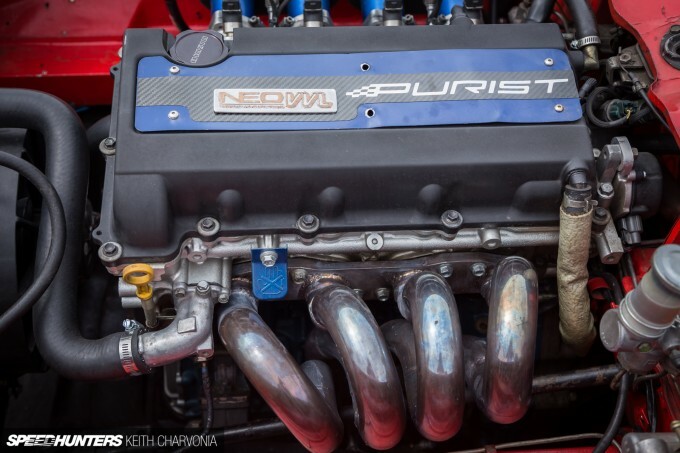 Does anyone know what kind of exhaust manifold this is or just custom? turboboxer6spd It was built custom to clear the roadster chassis and still be equal length. 562MikeA turboboxer6spd That is an amazing exhaust manifold. Bloody brilliant too. As I'm working on everything from the headers back on my 70, I can see how that fit works. I've seen people hack frame, hack steering column and make unbelievable messes. 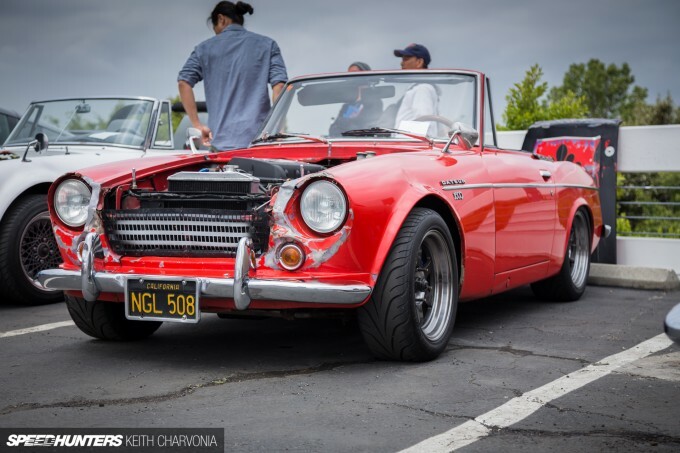 Worst I ever saw was a guy trying to stuff a 454 into a roadster in Escondido. Neopolitian loslogo You know, the other thing I like to say is that I decided to do some amateur bodywork with a Buick.. Bottom line, if you drive enough in bad enough conditions, eventually something is going to happen. If the price for the privilege of driving my car is that eventually I have to fix it, I will happily pay that price. I mean, I could lock it in a garage, but what car deserves that fate? @Jimbo Get onto the forums at 311s.org. My SR311 has re-curved single leafs out of a Volvo 360, and re-valved koni shock absorbers. Gives great ride & handling compared to stock or even upgraded standard springs. st3ph3nm There is absolutely no reason mine could not go back to stock by just welding on the stock motor mounts and bolting the trans crossmember back on. The real question is why someone would want to go back to stock, but that is a different discussion. In the mean time, the numbers matching engine is sitting in my garage collecting dust..
562MikeA That's great! You haven't butchered it. I've seen some horrible things done to beautiful cars in my time - as you probably have as well! Here in Australia these cars are going up and up in value, which is a great reason to be able to keep them in more or less standard condition. My SR311 would be worth approx. half it's current value if I put a different engine in it. Like I said, there's room for both in the world. I'd rather see an SR in there than no roadster on the road!